Last night I caught up with Lecretia over FaceTime and she was looking really well, having just been out for dinner with her parents in Tauranga. It’s clear that the nadir of the chemo cycle has passed. It was worrying because you’ll recall that during Easter we had a trip to Tauranga Emergency Department after she’d collapsed. With any of these things you wonder whether it’s the drugs or the affliction and what the new normal is. The big news of the day though was mine. As of this morning I am now on leave from work indefinitely. This is probably well overdue. Lecretia, though lucid, smart as a whip, and in good humour, requires a lot of assistance in getting around. She can’t really be left on her own as if she falls she’s not able to get herself up again, and she can’t prepare food et cetera. 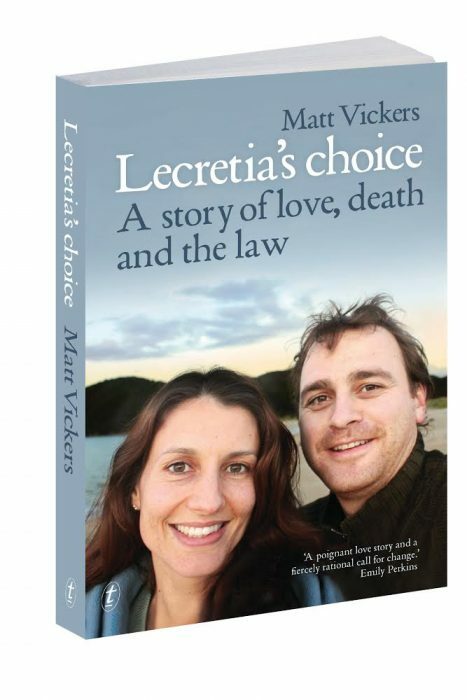 Up until now, I’ve relied on a delicate juggling act of friends, family, and Lecretia’s colleagues at the Law Commission to help look after Lecretia and to enable me to do my job, but it was increasingly clear that it was getting tougher and tougher for me to do that. So now it’s time for me to be there for her full time. The company I work for has been amazing, and once I explained what was happening, they offered to give me leave and to hold a job open for me while we go through this next phase. When I return, depending on the length of time, it may not be the same job, as the company changes so much, but it will be a job nevertheless. Given I work for one of the most exciting companies in the country it’s a real relief I won’t have to re-earn a place there. I’ll be forever grateful to them. Anything we do is also limited by the chemotherapy cycle, which requires us to be at Wellington hospital for one day every three weeks, and the aftermath of that cycle, which seems to take about a week to pass. We also have Lecretia’s hearing of course, which is likely to come before the court next month. The reality is that over the next while we might get a few small trips away but we will more likely be at home for most of the next two months. What I’m hoping is that Lecretia’s health holds out so that we do get a decent holiday after the hearing. If you have holiday ideas for people with mobility issues I’d love to hear them. Fingers crossed we get the chance to take some of those ideas up. That sounds pretty good actually. We had talked about a cruise in the Mediterranean somewhere. The only thing is the awful 24+ hour flight to get there! How about Rarotonga… not a huge flight and once there a rental car for transport and plenty of lagoon time. Would love to go back to Rarotonga. I love the place. Matt, reading your post again you are “limited by two issues now” that you no longer have annual leave to worry about. Am I reading this right … would a give a little page be a consideration ? We’re ok for now thanks, Mel. So pleased to read this Matt – great for you both. I suggest & recommend Fiji – benefits being same time zone/currency and you can now fly direct from Wellington to Nadi so avoid that extra hassle via Auckland. The idea of a cruise sounds pretty awesome. Must be some that head off from Au? As maybe the friend that’s traveling around NZ (?) I wouldn’t recommend it. Great trip but hard work! If anything go to a retreat. There’s apparently a good one in QT called aroha which could be pretty ideal. There are a couple other nice looking retreats around NZ and AU I could recommend. Yes, you’re the friend. 🙂 I can’t see Lecretia being piled into a car for days on end, so it’s probably not realistic. Will look into Queenstown, we spent a weekend there a year ago and loved it. Wherever you end up I’m sure it will be a memorable holiday for you both. Memories are forever. Fiji – Denarau Island – brilliant. So many different restaurants (including Indian) to choose from at the Port. 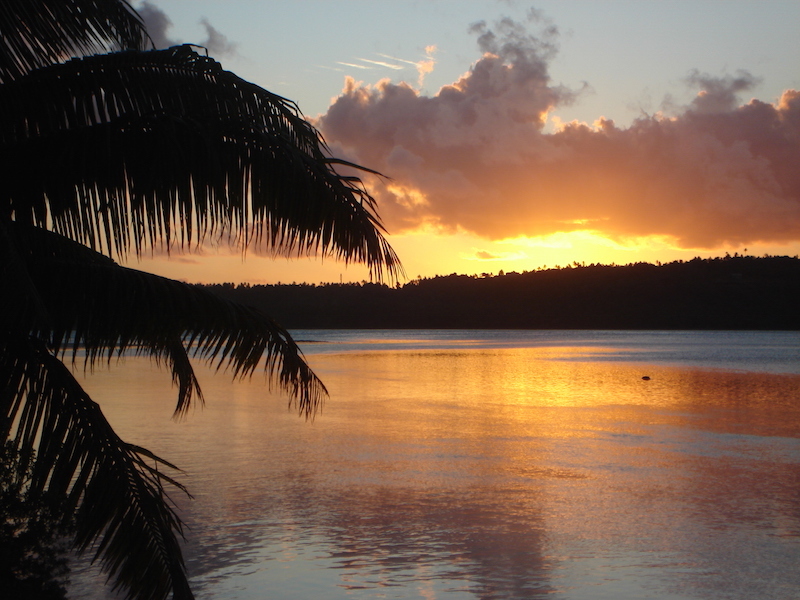 Raro, New Caledonia, all fantastic. Wherever you both decide – have an amazing relaxing time! Bula! Sunita. To be honest it doesn’t matter where you go, as long as you are together. All the best to you both.